A name that took the industry by storm over twenty years ago, the Powerstroke remains a top choice when it comes to diesel power. However, taking advantage of the superior horsepower and torque of these engines requires having high-quality parts and hardware to back it up. That is why we are proud to offer the largest selection of Ford Powerstroke diesel injectors that will help you complete your system with ease. Whether you are performing routine maintenance and repairs or installing a brand new system, these parts will make the job quick and easy by providing you with the high-quality performance and reliability you need to get the job done with confidence. Regardless of the engine you have in your vehicle, you will be able to find the proper match with our wide collection of hardware. We have Ford Powerstroke diesel injectors fitting 6.0L, 7.3L, 6.4L, and 6.7L engines, covering models ranging from 1994 to present day. As these machines have been innovated upon throughout the years, they have been able to provide more and more horsepower and torque, while operating with reduced emissions and strain. However, this power comes with a need for different hardware, so make sure you have the right match for your engine. We make sure all of our parts live up to your highest expectations and will deliver the performance and reliability you expect for years to come. 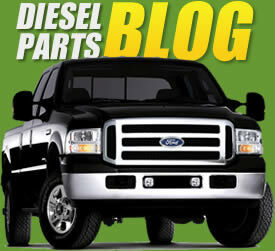 All of our Ford Powerstroke diesel injectors are remanufactured with materials meeting the highest OEM specifications. We have replaced the entire coil assembly, including the wire and connector, high-pressure sealing surfaces, valves, nozzles, and intensifier bodies. The result is an injector that is as good as new, and confidence in our process enables us to offer a two-year, one million mile warranty that will help you rest easy, knowing your vehicle will work hard every day. If you have questions or are not sure which part is right for your vehicle, feel free to contact our professional support representatives. We have years of experience working with diesel and will help you make the best choice for your needs so you can get your vehicle back in top shape quickly and easily.